Oral Conscious Sedation is a relaxing way to experience any dental procedure. We offer it to any patients who find that being in a dental chair makes them anxious or stressed. While most patients do not experience anxiety, sometimes a little help to relax is all that’s needed to make the experience better for those who need it. But how does oral conscious sedation work? This process he patient takes a pill before treatment. Commonly administered oral sedatives include: Valium, Halcion, Xanax, and Ativan.The patient becomes sleepy, and develops a diminished awareness of sounds and smells. The effects can last for up to four hours. A patient is monitored for his or her individual response. Advantages of oral conscious sedation include: It is easily administered (no needles), generally has a low incidence of side effects, the patient can breathe independently, and the patient retains the ability to interact with and respond to the dentist. 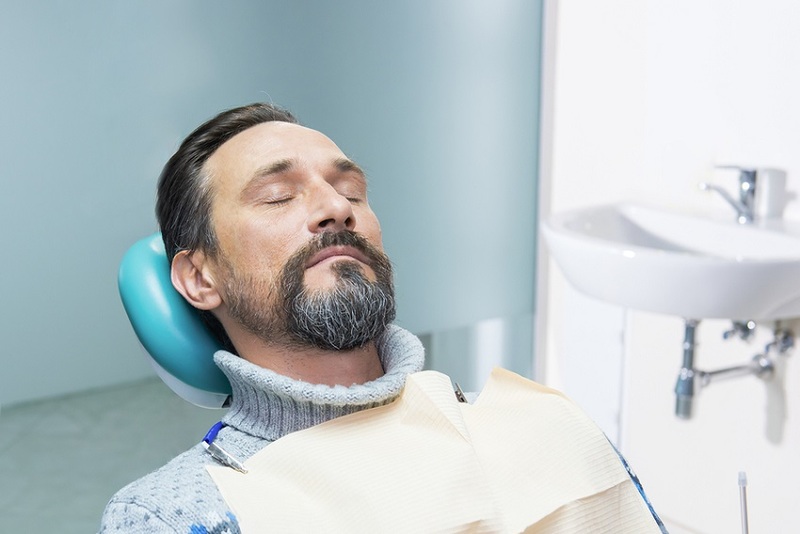 This mode of sedation is gaining popularity as “sedation” or “sleep” dentistry; however, oral medications do not and should not put a patient to sleep. Therefore, patients using this method who want to be to be completely”asleep” may be more aware of dental treatment than they want to be. We also offer other methods of sedation and can help you choose the method that is right for you.